Y&R New Zealand's celebrated McWhopper campaign took home the highest honor, the Grandy, at the 52nd annual International Andy Awards on Tuesday night. 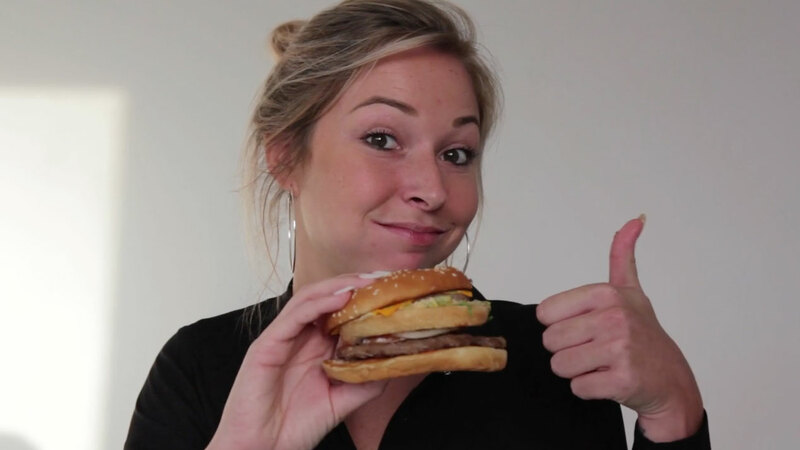 And Y&R staffers from around the globe celebrated in a fun (if not very healthy) way—by making their own handmade McWhoppers, as seen in the cute video below. It's rare and refreshing to see this kind of network camaraderie, particularly around awards, where offices far from the winning one might not ordinarily feel much of a connection. For the McWhopper stunt, which happened last August, Burger King reached out to McDonald's and suggested they partner up and actually make a McWhopper for Peace Day. McDonald's politely declined, which meant it was never officially made—outside of the rudimentary efforts of amateurs (including, at the time, AdFreak's own official fast-food tester David Griner). Y&R had a brilliant showing at the Andys. In addition to the Grandy for McWhopper, the network won the Richard T. O'Reilly Award for Outstanding Public Service for its "Melanoma Likes Me" work, created by GPY&R Brisbane in Australia. "We are simply ecstatic," Tony Granger, global chief creative officer of Y&R, said in a statement. "We are so proud of winning the two top awards. Both ideas are terrific proof that brave clients get the work they deserve."